This petition has been created by NoMines N. and may not represent the views of the Avaaz community. 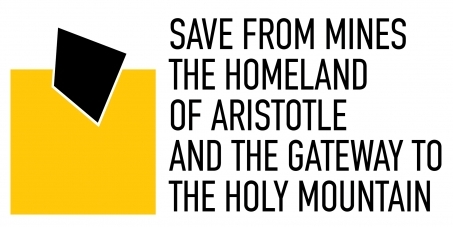 The “Save from mines the homeland of Aristotle and the getaway to the Holy Mountain” campaign calls for citizens all over the world to raise their voice in condemnation against the development of mining activities and the installation of gold extraction heavy industry, chemical byproducts and toxic waste ponds in the holy land of the philosopher Aristotle, which is the natural gate to the monastic community of the Holy mountain. In this unique environment, the Greek government has allocated 317000 acres of land to mining companies that aim to transform a highly valued ecological paradise to a huge mining center. Their target is to create numerous surface and underground mines, set up a sulfuric acid chemical plant, dig for gold, silver, copper and other metals and use an ancient forest ecosystem to place their toxic waste ponds. If we allow this to happen, the result will be a non-reversible, of the first magnitude ecological and cultural disaster of the area with our forests and rivers full of toxic waste, our sea contaminated with heavy metals and the air we breathe fouled by hazardous airborne particle dust while enormous reserves of water will be drained. People from the four corners of the globe that have suffered the consequences of gold mining in their lands have the following advice to offer: “The only solution to deal with the consequences of gold mining is to stop it once and for all”.